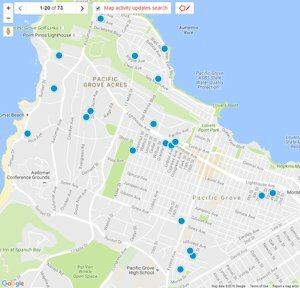 Search all of Pacific Grove’s Central Avenue and Pine Avenue Area real estate listings of homes, condos for sale plus foreclosures, short sales and Pacific Grove’s Central Avenue and Pine Avenue information on one easy site. The Forest Avenue and Pine Avenue neighborhood is a desirable area centrally located in the heart of Pacific Grove, CA just above the old retreat neighborhood. What makes the Forest Avenue and Pine Avenue neighborhood so desirable to those who live there is its relatively flat terrain and the fact it is within walking distance to all Pacific Grove, New Monterey and Cannery Row has to offer. Lover’s Point, downtown Pacific Grove shopping, Lighthouse Shopping District in Monterey, Cannery Row and the Pacific Grove waterfront are all short walks from this convenient neighborhood. This neighborhood butts up to the Washington Park & Marino Pines neighborhood on its western border of Congress Avenue. The Old Retreat neighborhood is to the north with Lighthouse being the border. Sinex Avenue and the Candy Cane Lane neighborhood is the southern border and basically New Monterey (Eardley and 2nd St) make up the border to the east. Pacific Grove’s Forest Avenue and Pine Avenue neighborhood has the oldest elementary school in all of Pacific Grove named Robert Down Elementary School. Many families who have purchased homes to take advantage of Pacific Grove’s schools like the Central Avenue and Pine Avenue area as it is close to Pacific Grove High School, PG Middle School and Robert Down. Real Estate in the Forest Avenue and Pine Avenue area of Pacific Grove is eclectic. Homes range in this area from the early 1900's Pacific Grove Victorian cottages and arts and crafts style homes (craftsman homes), to mid-century modern and contemporary homes, plus everything in between. Lots are a bit larger here than in other parts of Pacific Grove and it is common to see street to alley lots on many of the homes for sale here. Ocean view homes are not common based on the makeup of the terrain and as such average prices and median prices are lower than some other parts of Pacific Grove that do have Ocean views. If you are looking for a great neighborhood to call home and you like to get out and walk, meet neighbors, walk the kid's to schools, but still be close to Cannery Row, Lovers Point, downtown Pacific Grove shopping/restaurants and everything else that makes Pacific Grove the special place to live that it is, the Forest Avenue and Pine Avenue neighborhood might be right for you. 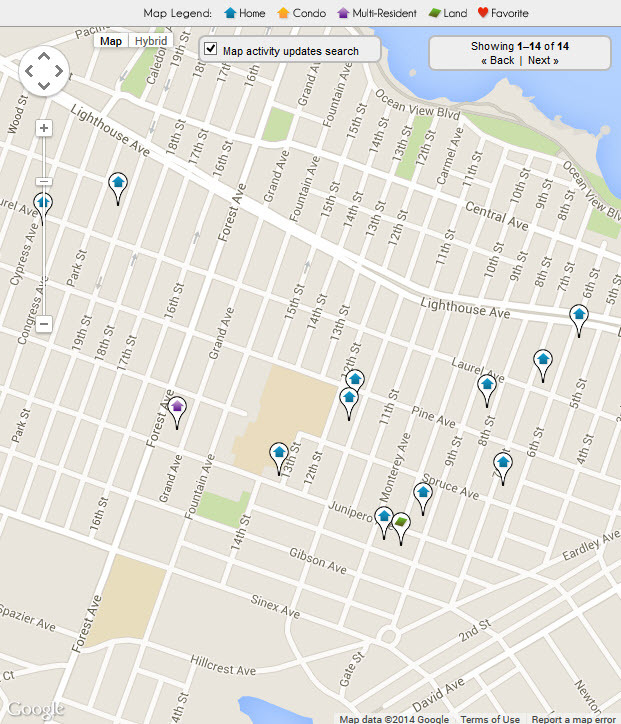 The 5 latest listings of homes for sale in Forest Avenue and Pine Avenue are below. For a full list of everything that is available in this sought after neighborhood, you can build an advanced search or contact one of us and we can do it for you. 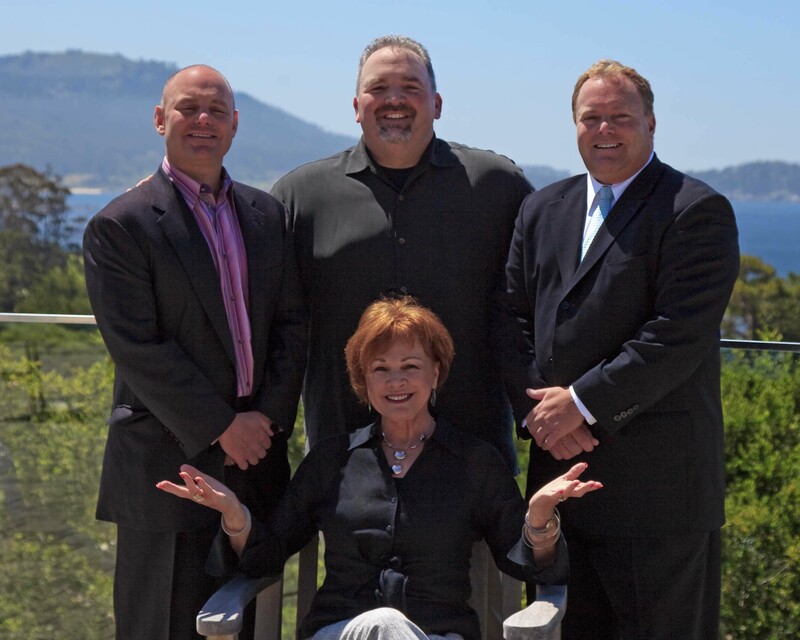 Our website has detailed information including Forest Avenue and Pine Avenue real estate statistics if you are interested in learning more about real estate values in this Pacific Grove, CA neighborhood. If you are interested in seeing homes for sale in the Forest Avenue and Pine Avenue area, contact us.